The Ultimatenyg Wife and Daughter made cookies for the New Years Party last night. The rest will be a positive for the DL- an oppty for Tuck, Robbins and Cofield to get back to their early season energy with a few less bumps and bruises to contend with. When we lost Osi in August, we knew that was a BIG hurdle to getting another title. Well, here we are. All it means is that the Giants need HELP. They need the offense to get more points. They need the kickoff coverage to help them with field position. Yes, they need the Safety to pickup the RB out of the checkdown, not Pierce. (Wonder agrees, says Pierce should not be on the field on 3rd and long.) They can commit a few less penalties. The Giants have enough to win it all, they just need to be a little tighter from here on in. Gilbride needs to get more than 21 points per game this offseason, it will NOT be enough unless guys like Robbins ARE BACK. Like we have said before, IF ROBBINS IS BACK IN EARLY SEASON HEALTH, they’ll be on Broadway on Feb 2nd. But when did an interior DL ever finish STRONGER as the season wore on? I am willing to bet that that extra week off for Cofield may have saved him in ways we do not know. Interior DL is like playing Catcher in Baseball. The length of the season is a major grind. The physical demands every game wear you down like no other position on the field. It is not a coicidence that these guys get hurt and eventually cannot play well enough with their injuries and must take a week off to heal. We looked at the 4 Pro Bowl picks this season (Haynesworth, Jenkins, Ratliff and Williams), added in Cofield and Robbins, and looked at their combined tackles and sacks in the first 11 games and then looked at the same stats in the last 5 games of the season. So the number of tackles this squad made dropped off by 11% per game. Given that the number of starts also dropped by 16%, you can argue that the run-stopping stayed consistent. But the total number of sacks plummetted from 34 in the first 11 games to 2.5 in the last 5 games, a drop of 84%. These guys simply lose their wheels. ALL OF THEM. I did not inspect the assists/solo tackles ratio, but anecdotally it looked like there were less solos and more assists in the latter part of the season. EIGHT FOUR PERCENT. THE SACKS DRIED UP. COMPLETELY! For Robbins, his last sack came on October 19th. For Defensive Ends, they may come in “bunches,” but for Defensive Linemen, they come in the earlier part of the season. You can argue, but hey, he got injured! But injuries alone only would account for a 16% dropoff in production, which is almost exactly what we see from the number of tackles. And this dropoff in sacks was for all the probowlers, not just (the alternate Pro Bowler) Robbins. One factor which cannot be ignored is that Robbins collected 5.5 sacks in his first 6 games vs. weaker competition with a winning percentage of 30.7%. In the last 10 games, the Giants and Robbins faced opponents with a winning percentage of 61.8%. So some of the dropoff in his personal performance may have been related to that variable. The Giants pass rush misses the push from Robbins up the middle. All teams miss this, but it has been especially acute for the Giants. Even if Robbins does not get the sack, if he getting the forward push this will help Kiwanuka and Tuck because the QB will not be able to step up into the pocket. At this point in the season, all we need is the hurry, knockdown, push. Sacks just confirm the other three and generally cause change of possession. Separately, if you have a site which tracks INDIVIDUAL HURRIES and KNOCKDOWNS for defensive players, pls let us know. Ultimatenyg NY Giants blog features a recap of Phil Simms’ commentary (on WFAN.com live ~945AM with Mike Francesa) every Sunday morning. But on Wednesday nights, Phil Simms also appears on Showtime, and his picks of selected games are online. No point spreads, but he is out there, on the record. 1) Not a believer in Dallas yet. Poked fun at Collinsworth for jumping on the Dallas train after one win, arguing that you can’t get bullish a team with Romo when it tanked without him. Phil (and Warren Sapp) felt that good teams rally around the second stringer and lift him up, that those three games without Romo were evidence of the problems, so he is looking for more before believing. 5) Colts over Chargers, because Sanders is back, and “yes, he means THAT much to them.” Without Sanders, 20 yard runs, with him, 4 yard runs. 6) Saints over Pack. GB will play man to man, and Brees will dial it up for the win. Separately, the panel wondered aloud if 3rd and 15 for the Jets to Keller becomes their 4th and 17 to Bobby Johnson. I’ve seen teams galvanize around a play like that before. I’ve also (lol) seen the Jets fold with stronger hands than this. Like I have said, I have more confidence in the Jets players than I do in their coach. 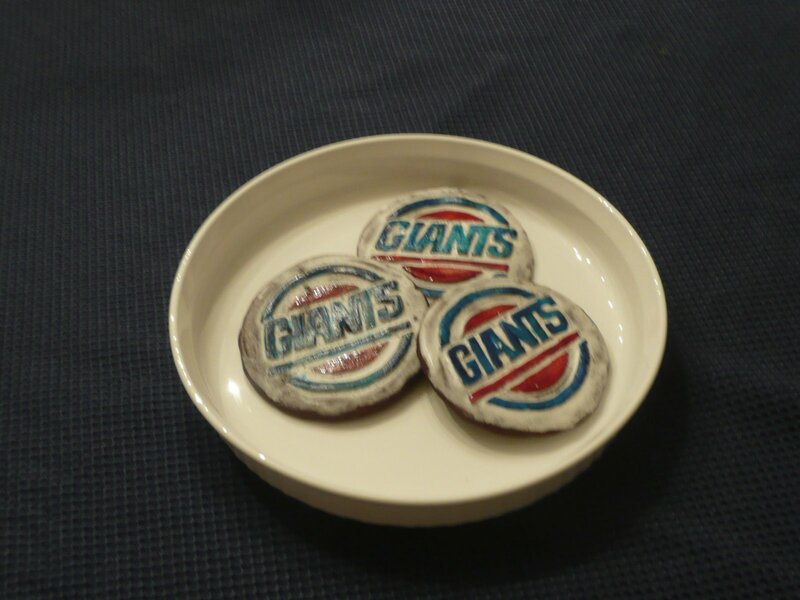 This was not supposed to be the Friday Post for a NY Giants blog. But there was simply too much to comment on here. Eric Mangini is a browning moron, and if he ever coached my team I would need to keep a full supply of barf bags handy. I may never have seen a game that was a more glowing example of the insanities of the Prevent Offense and Prevent Defense. This Jets team broke Rules 15 and 16 so many times, I lost track. The Jets go up 24-6 late in Q2 and Bob Popa and Cris Collinsworth are anointing the Jets for having completely dismantled this Patriots team. And rightly so. But they are forgetting one thing. Manidiot. Rule # 17: Players are told to play for 60 minutes. Yet who benches the head coach when he only coaches for 50? In this case, if the Jets coaches had coached for 50, that would have been radical. By this count, it was more like 36 minutes. Disgraceful. 1) Forget benching the coach, how about firing him. The Jets defense goes soft, into Prevent Defense1. Belichick has decided to go for it on 4th and 3 (which I believe is a mistake, take the FG) at the 23 with 2:40 left Q2. Sack for change of possession. So now you REALLY think that the Jets will go into the half up 24-6. But there is more. 2) Now the Jets have the Ball and go into the Prevent Offense1. It may not look like it in the stat sheet, but the Jets were doing the coronation, happy and fat. 3) The Jets go into the Prevent Defense2, and with the Patriots in no huddle, they march all the way down the field in ~1:30 and score to make it 24-13 at the half. SINFUL. Terrible. 4) The Potent Jets offense, which put up a zillion yards in H1, went into hibernation, Prevent Offense2. There was NO ATTACK in it. The dial was set to SLEEP. 5) Naturally the Patriots keep chipping away, until they score with 10:16 left in Q4 to tie the game 24-24. Remarkable. Effectively, the Jets coaching staff took off from 2:40 in Q2 to 10:16 in Q4, about 22 minutes. Very nice. 6) Wait a second, the game is tied? Okay, Okay, say the coaches. Time to wake up and play again. So the Jets drive down into the red zone, get a questionable holding call on Vrabel (breaks my heart) and a few plays later score the TD to go up 31-24 with 3:10 left. 7) Kris Jenkins makes a key sack on 2nd down and when the Pats miss on 3rd down, they actually have to kick (2:24 left), hoping and praying that they can somehow get another chance to get their hands on the ball. 8) Their prayers are answered! They are playing against Manidiot and the prevent Offense! I’ll give you a hint, where have we seen this before? EXACTLY LIKE THE GIANTS EAGLES GAME FOUR DAYS AGO. Prevent Offense3. RRRK special. Just like the Giants with 5:30 left, the Jets run three plays in a row and … I am shocked, shocked…. they don’t move the chains! Well blow me down! 9) So now the Patriots get the ball back with 1:04 left and no timeouts. Time for Manidiot to roll out Prevent Defense3. The old 3 man rush technique. The Pats move down the field like a hot knife through butter and get a TD to tie the game with 0:01 left. You should have seen the look of #4 when they scored… Favre is thinking, what do I have to do, coach the team too? He knows his coaches killed this effort. 10) Then a miracle occurred for the Jets. They won the coin toss. Time to turn the offense back on. On a key 3rd and 15 from the Jets 15, Favre hit Keller for 16 and a first down. Favre led the team all the way down field, and Feely nailed the 34 yarder. Had it all the way. If Manidiot does not win the coin toss his team loses that game, and it goes down as one of the ugliest collapses in Franchise history. And the Jets know collapses. Let’s quote Cris Collinsworth: “The only thing the Prevent Defense (/Offense) prevents you from doing is winning the game.” Shameful. For any Jets fans out there, your last 5 games are very winnable, your team can easily be 12-4. Incredible. Despite the horridness of the Prevent, that the Jets were lucky enough to manage to hold on (thanks to the coin flip) can portend good things for them now. This is a tremendous win for that franchise. It was only a few weeks ago that this team lost to the Raiders and then barely escaped vs KC. But like we saw last year in Washington Week 3, all it takes is one special game to turn an entire franchise around. The Jets got some special mettle out of this victory over the Patriots. If only they had a head coach with half a clue, they’d be dangerous. New York Jets vs. New York Giants in the Super Bowl? Ultimatenyg blog is not full of insane predictions or ‘pie in the sky’ dreams. What we are saying here is that it is not unrealistic to think that either of these two teams should be “live” for competing strongly for a Super Bowl appearance in the next two years. Sure, the Giants need Burress to get “healthy.” The Jets need to get over that snake-bit loser mentality. But Favre changes a lot of things. Jenkins and Faneca change a lot of things. BOTH teams have realistic championship aspirations, that is all that needs to be stated here. There are so many variables of luck involved, injuries etc… to make a statement that ANY team in particular is headed to the title. All we can say is that both teams are going to have very respectable shots. You are currently browsing the archives for the Kris Jenkins category.